In this post, I will cover all of the above and more. Photos will be included. 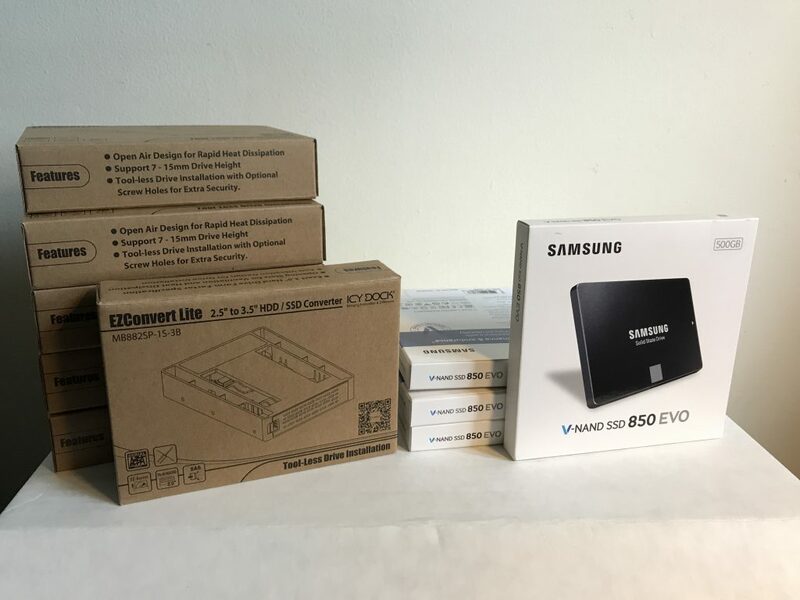 The 4x Samsung 850 EVO SSDs and the 6x Icy Dock 2.5″ to 3.5″ converters. Full disclosure: the following links contain my Amazon referrer code. 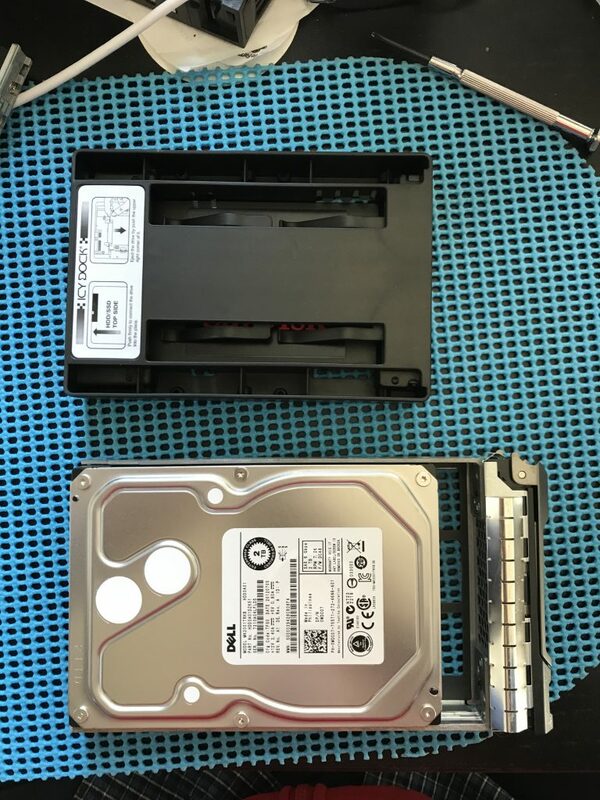 On the left is the ICY DOCK 2.5″ to 3.5″ Bay SATA HDD & SSD Converter. This converter allows you to place a 2.5″ drive into a 3.5″ bay. 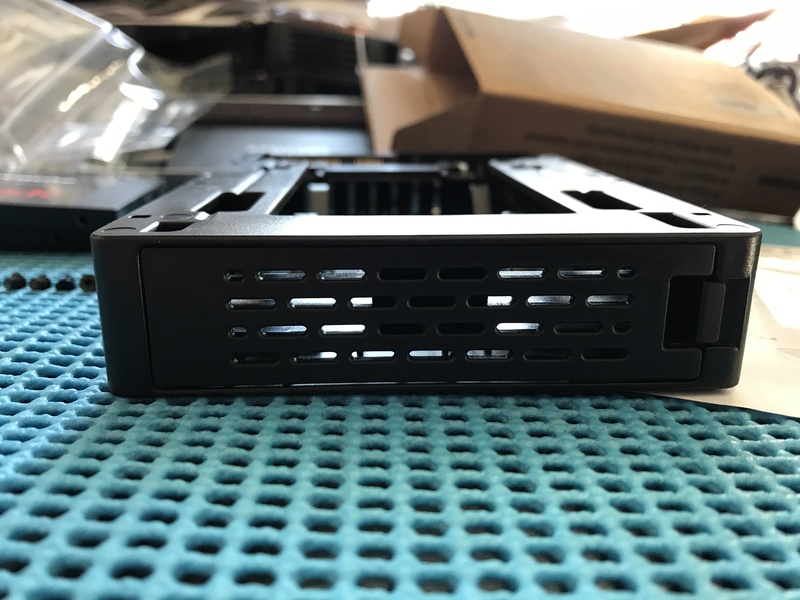 More to the point, it correctly lines up the connectors so you can place a smaller drive into a larger drive bay. See photos later in this post. On the right is the Samsung 850 EVO 500GB 2.5-Inch SATA III Internal SSD (MZ-75E500B/AM). I have used these before and were my first choice when considering what to buy for this project. 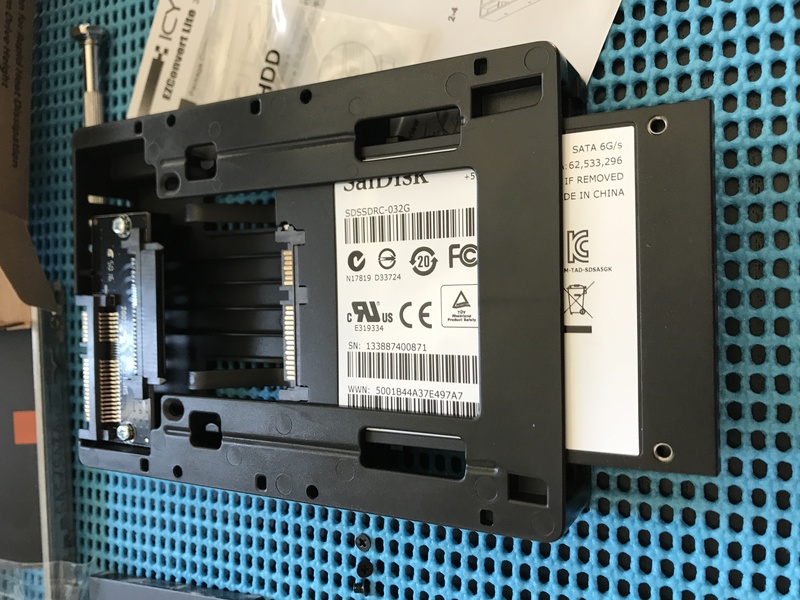 The existing SanDisk 32GB SSDs have been used in the R610. I plan to move them over and use them to boot the R710. 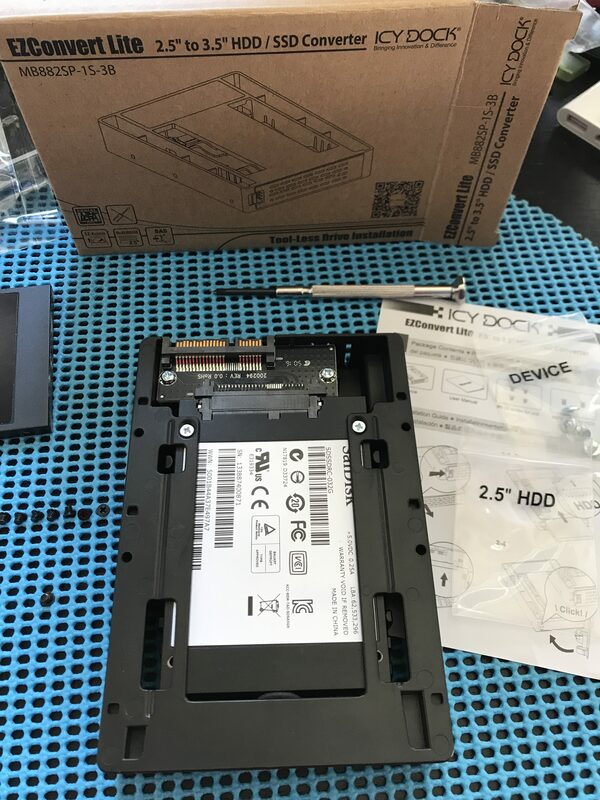 The SanDisk SSDs were removed from the drive trays of the R610, and readied for installation into the Icy Dock adaptors. 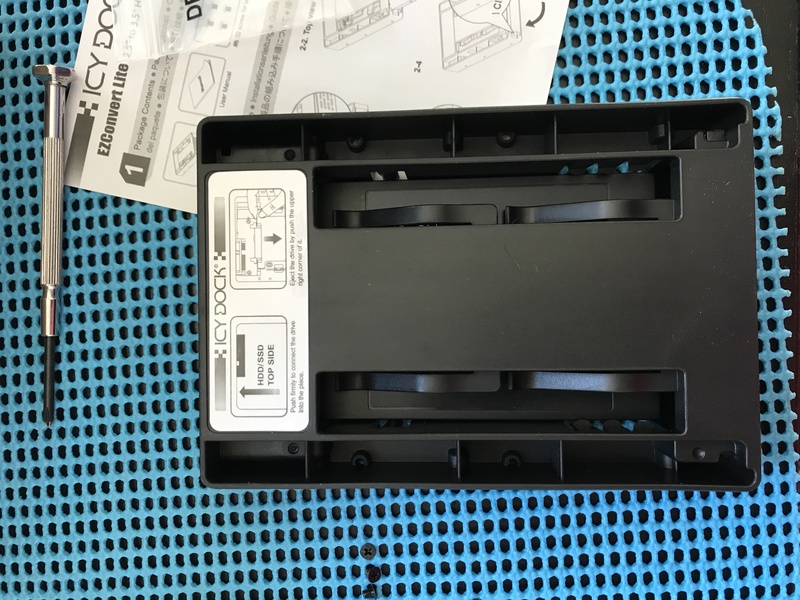 In the photo below, the Icy Dock adaptor is at the bottom, still in the plastic wrapper after being removed from the box. 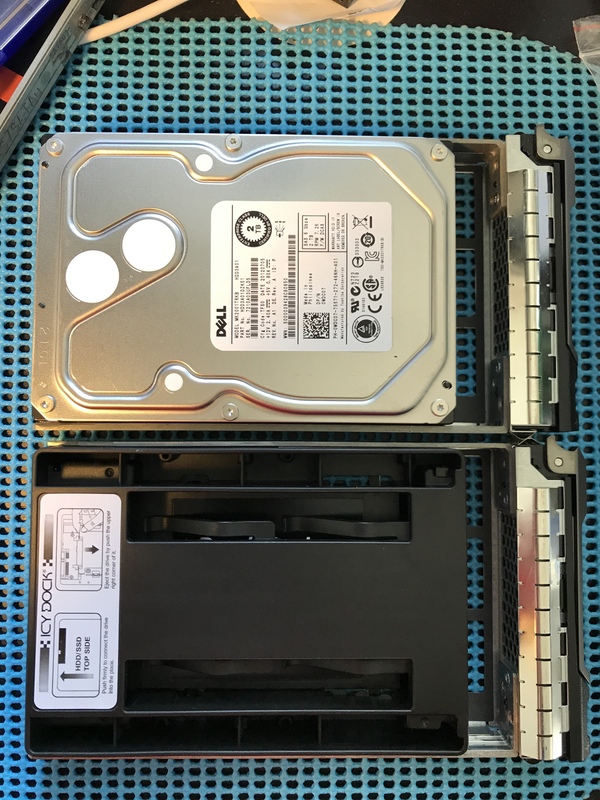 On the right, is the drive cage from the R610 from which one of the SanDisks was removed. In the next photo, the Icy Dock adaptor has been removed from the bag and you can see the screws in the two different bags. The larger ones are unused in this particular situation. 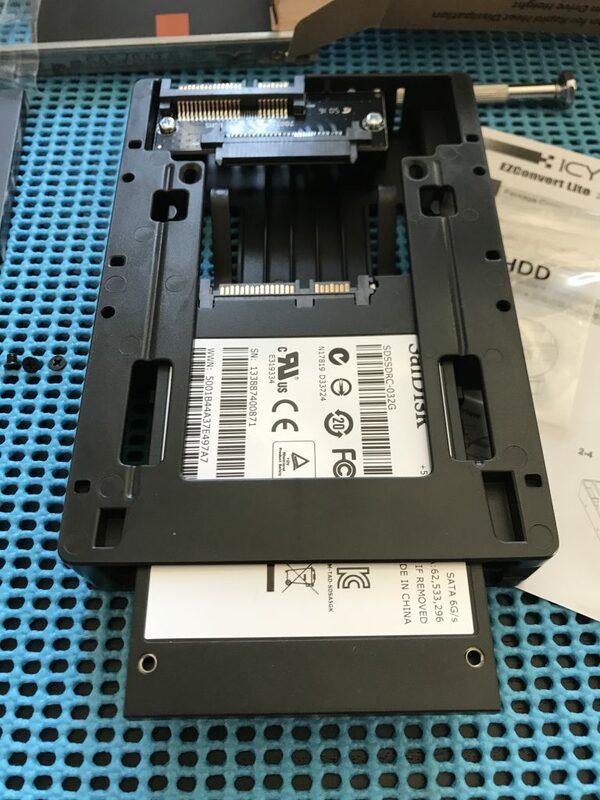 The two smaller screws are used to attach the SSD to the Icy Dock. This is the front view of the Icy Dock, showing that there is plenty of room for air flow. 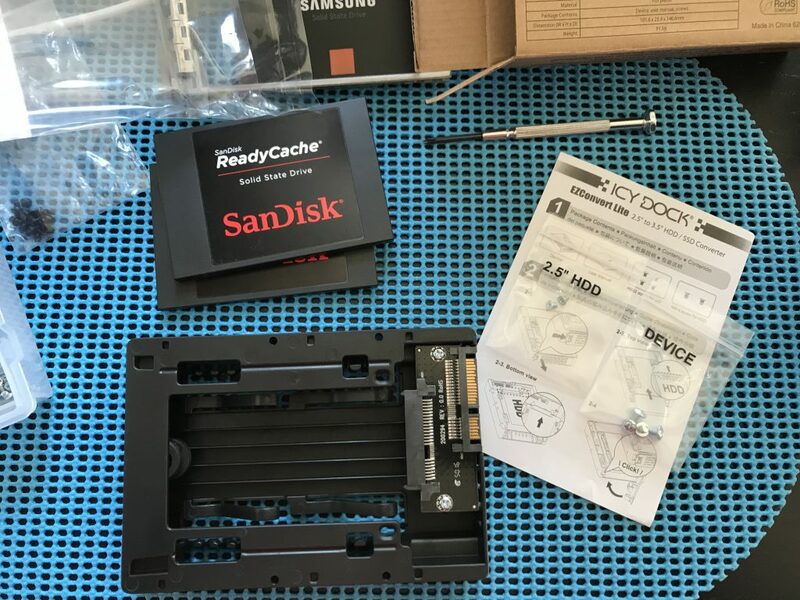 To insert the drive, remove the door/grill as shown. The drive slides in and attaches to the socket at the top of this photo. Slide the drive all the way into the adaptor. 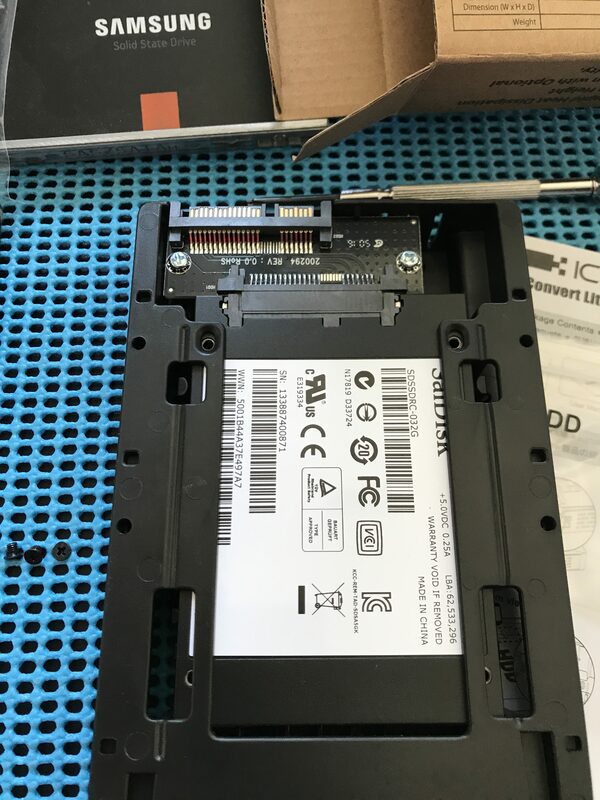 I used the two small screws to secure the SSD to the adaptor. The view from the other side of the adaptor once the drive is attached. Remember to attach the door you removed earlier. I forgot on one and did not discover until after inserting the drive tray into the server. In this photo, you can clearly see how the adaptor mimics the shape and size of a 3.5″ drive. 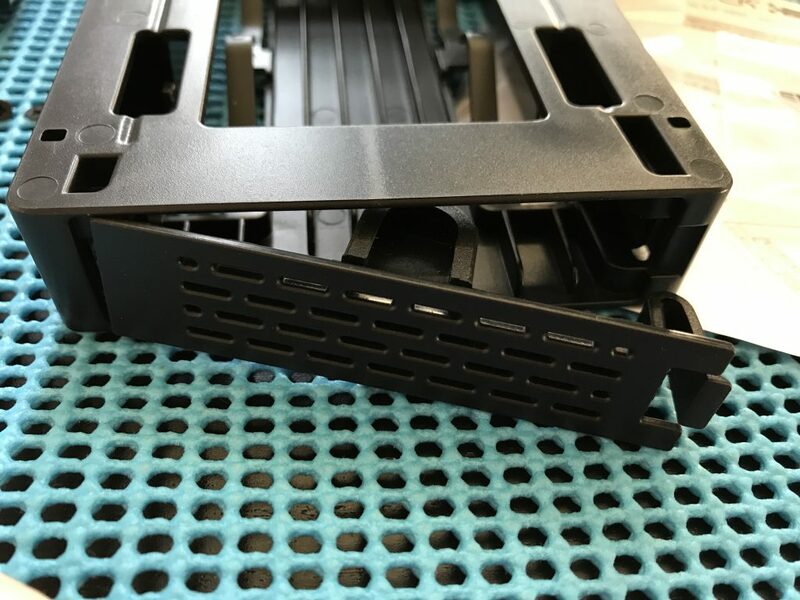 In this photo, the Icy Dock adaptor has been attached to the drive tray. I used four screws I had on-hand. The drives which secured the HDDs were too big. I saved them for another day. I may go back to HDDs at some time. 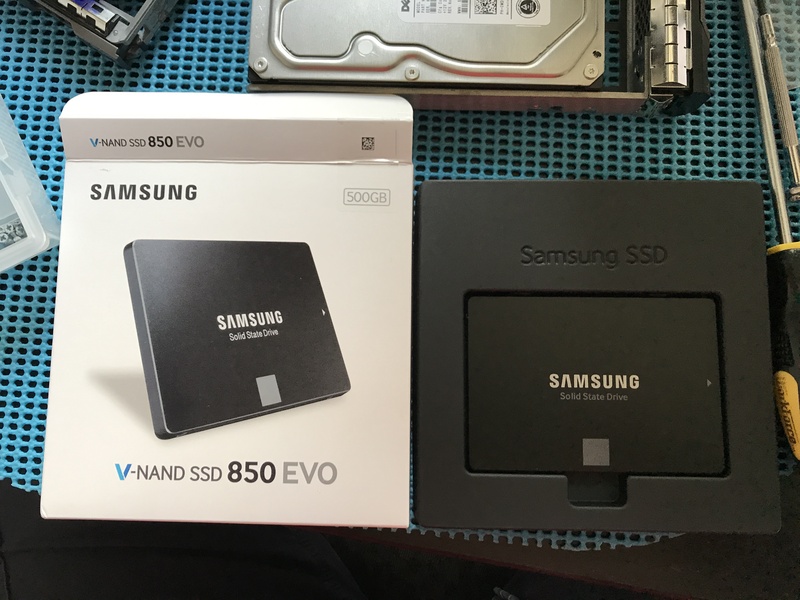 Now I repeat the same process with the Samsung 850 EVO SSDs. The procedure is pretty much the same. 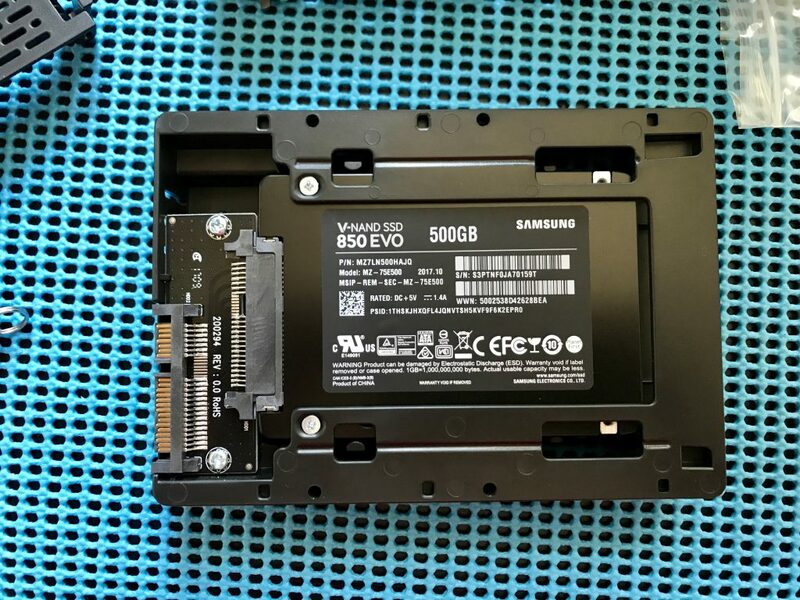 The Samsung 850 EVO has been attached. I inserted all 6 drive trays and powered on the box. It could not find a boot drive. 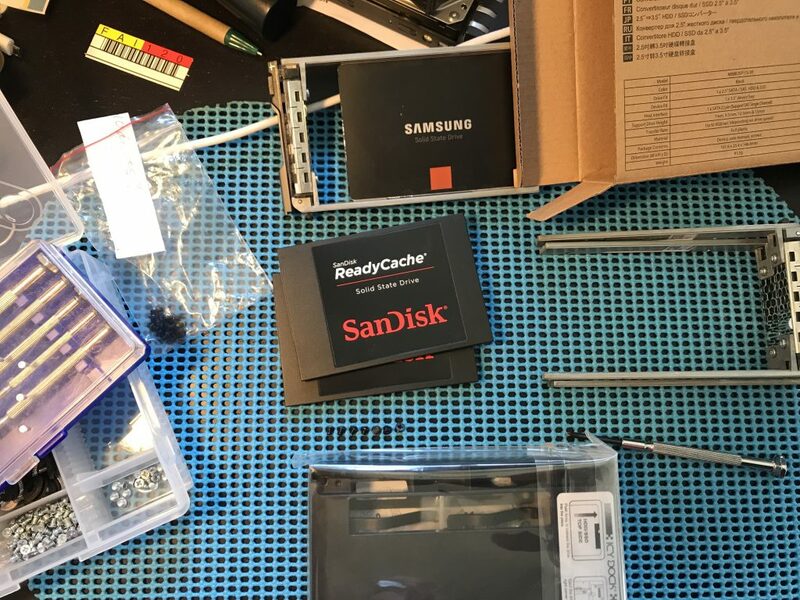 I removed the 4 Samsung SSDs and tried again. This time it booted. I had to alter /etc/rc.conf to refer to the ix0 interface instead of bce0. This server is using a fiber optic connection. BTW, you still see the r610 hostname above because I have not changed it in /etc/rc.conf yet. Let’s try a boot now, with all the drives back in. We have proven it can boot, but will it? I think not. The server did boot. However, this was not a cold boot. Let’s try that. But first I will rename the host and adjust Nagios accordingly (i.e. rename the host). I am happy to say I was wrong again. The system booted. The system is up and running, it is louder than my other systems, but only barely. I shall see how this goes.